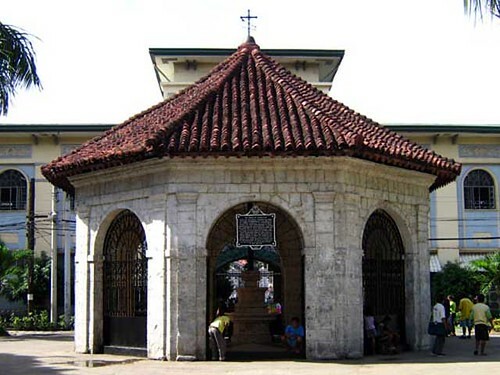 Cebu City was once the capital of the Philippines until it was transferred to Manila. It is now the second city of the Philippines and is dubbed as the “Queen City of The South.” Cebu is one of the favorite destination of tourists in the country because of its white sand beaches, shopping, historical landmarks, and any other activities under the sun; from snorkelling and diving deep down underwater with its rich marine life to trekking inland to the mountain area, or simply wandering around the city and shopping in malls or in marketplaces. In everything that you can think of, Cebu could always have it for you! Restaurants/Food Dining: Hukad, Golden Cowrie, Cafe Laguna, Alejandro’s (best crispy pata), Ila Puti, Mooon Cafe, Casa Verde, Rodeo Grill, Kuya J’s, Chika-an, and more! Camotes– Please refer to my Camotes entry. Bantayan Island- Please refer to my Bantayan Island entry. Moalboal- Please refer to my Moalboal entry. Mountain Resorts: There are several mountain resorts that can be found throughout the island of Cebu, but if you just opt for a mountain resort within the city, you can choose Mountain View Nature’s Park. You can get there through any cab or hire a motorbike in Lahug, Cebu City. Do not be shy to ask any friendly face in the jeepney, you might win a new friend. Activate your sense of direction. It is a human instinct. Take the same jeepney route to and from the place of destination, but always ask the driver first because in some cases, they wont pass a certain street in going back. Watch your wallet and bags at all times, knowing that you are a foreigner or a tourist makes you a probable target of snatchers/pickpockets. If you get lost, the best option is to get a taxi cab. Riding jeepney is good but taking a cab would be the best option. And oh, make sure to take note of the cab’s plate number and operator. You might leave something important behind. I cannot just blog everything about Cebu because it is way too many to tell you everything and I do not even know everything about my hometown yet. I am also still discovering. You might be searching google for more about Cebu but I think google still does not know some things about this Metro. All you have to do is discover the streets of Cebu! Enjoy! This entry was posted in Cebu and tagged adventure, affordable, bantayan, bantayan island, beaches, cafe laguna, cebu, cebu city, crown regency, danasan eco park, diving, edge coaster, Golden Cowrie, imperial palace, Kuya J's, laguna garden cafe, mactan, magellan's cross, malling, maribago bluewater, mooon cafe, philippines, rodeo grill, shangri-la mactan, shopping, sky experience, snorkeling, summer, taoist temple, tops, transportation, travel, travel blog, vacation, visayas, white sand, white sand beaches, wonders. Bookmark the permalink.